JC and Patricia are the owners and operators of the Uptown: JC Harter Agency of Goosehead Insurance. 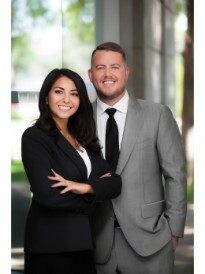 With over 17 years of combined experience, JC and Patricia have built their agency with strong real estate relationships, an extensive product portfolio, and a world-class service team. In 2012, JC and Patricia were proud to launch the flagship Goosehead Insurance agency. Currently, Goosehead Insurance has over 300 active offices and is on the way to becoming the largest personal lines insurance provider in the country. Today, JC and Patricia are looking to grow their team in Uptown, hoping to create professional opportunities for other, motivated and talented individuals.